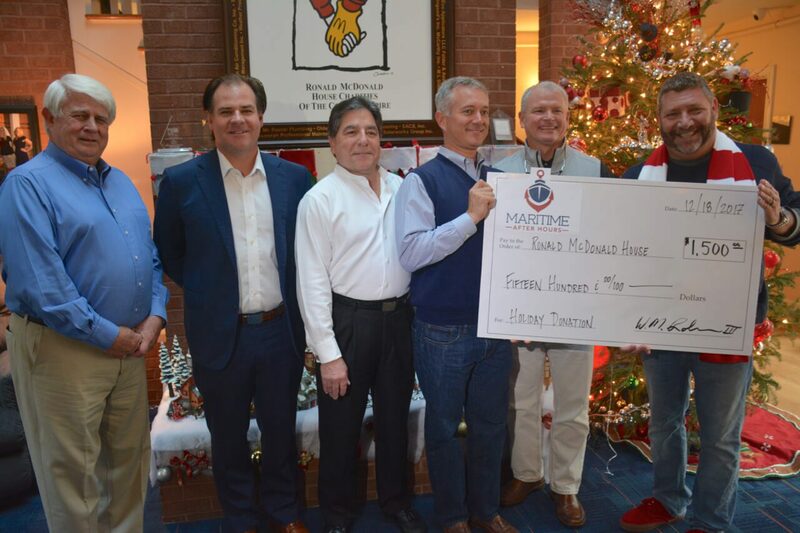 (SAVANNAH, GA) For the fourth consecutive year, Savannah Maritime After Hours has made a donation of $1,500 to the Ronald McDonald House of the Coastal Empire. 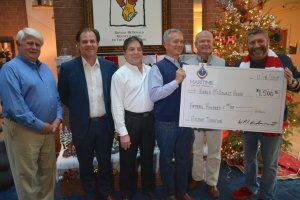 Maritime community leaders, Ben Goldberg of JIT Warehousing and Logistics, Larry Hearn and Ryan Faulk of Savannah River Logistics, Billy Robinson and Jed Young of Port City Logistics, presented the check to Bill Sorochak, executive director of the Ronald Mcdonald House of the Coastal Empire. The donation was raised through after-hours networking events held the first Wednesday of each month. The donation was increased this year by $500 to support the growing needs of the House and their residents.